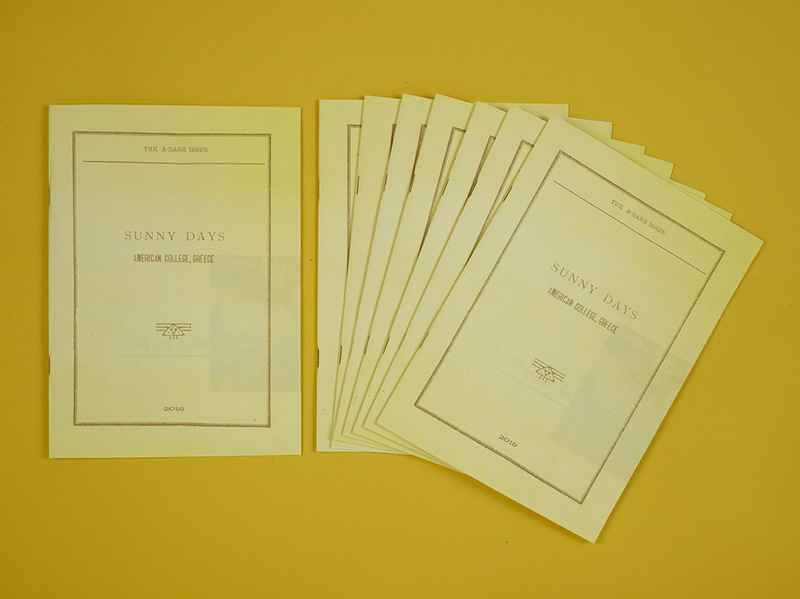 The content of the publication is based on material retrieved from different volumes of the student journal « Sunny Days » published by the American College of Greece. 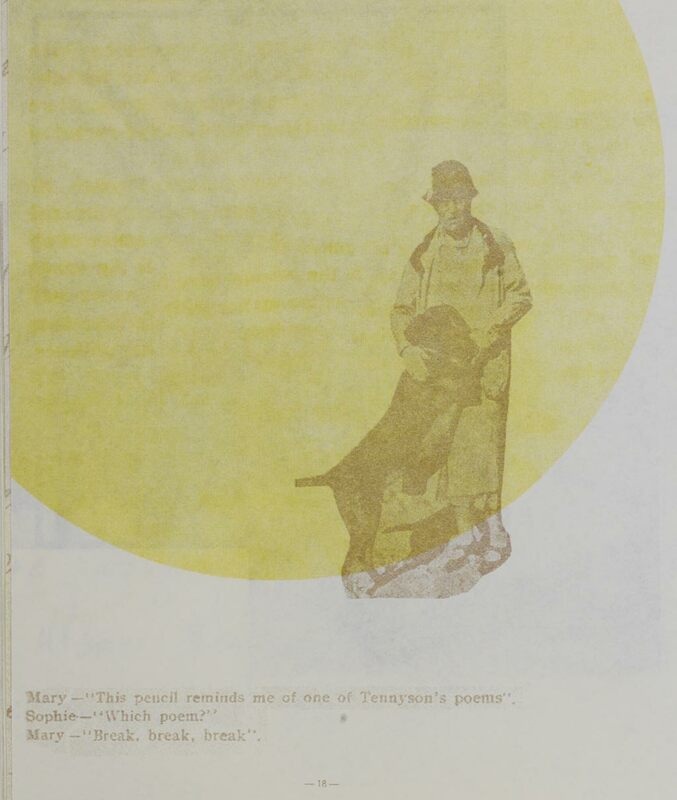 The material was used courtesy of the ACG Archives and Special Collections and the Photographic Collection of the ACG Art Collection. 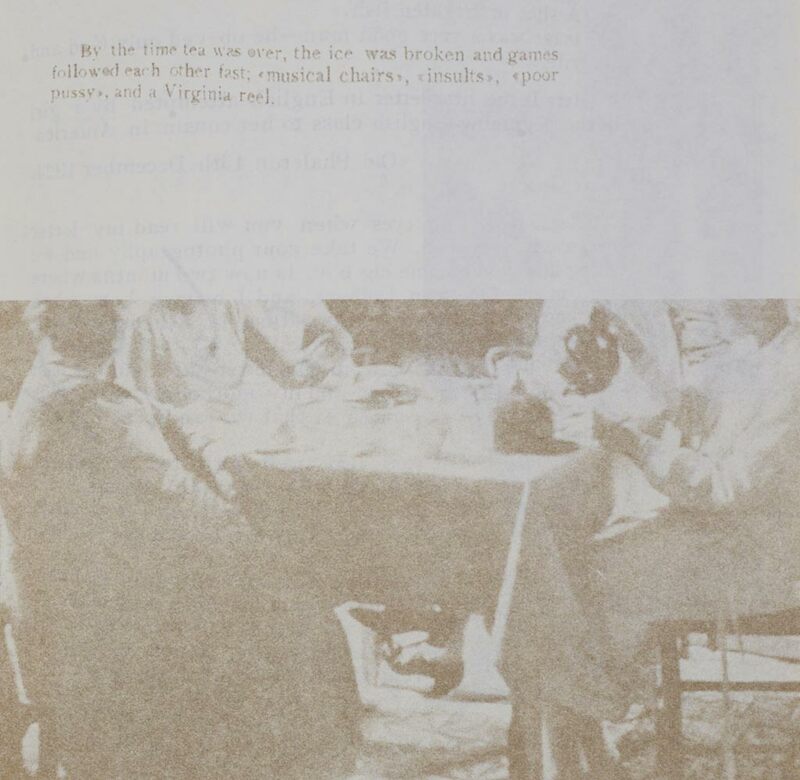 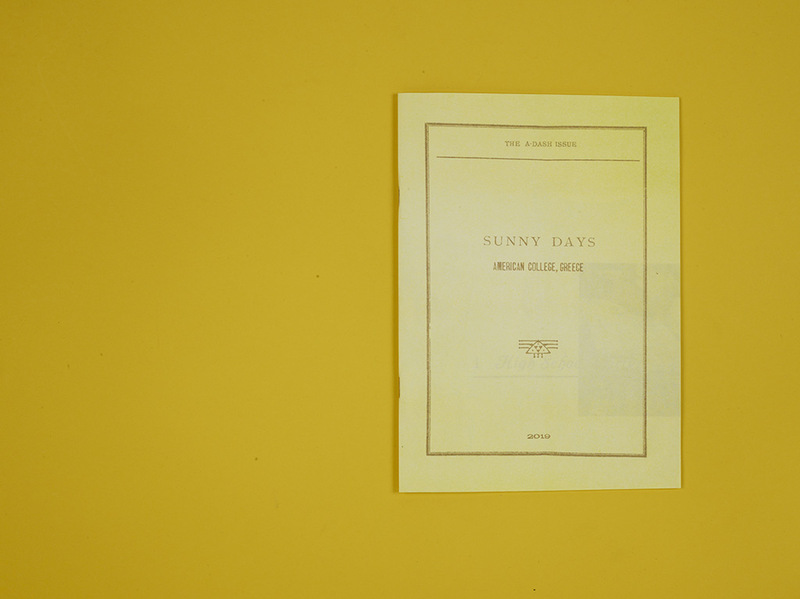 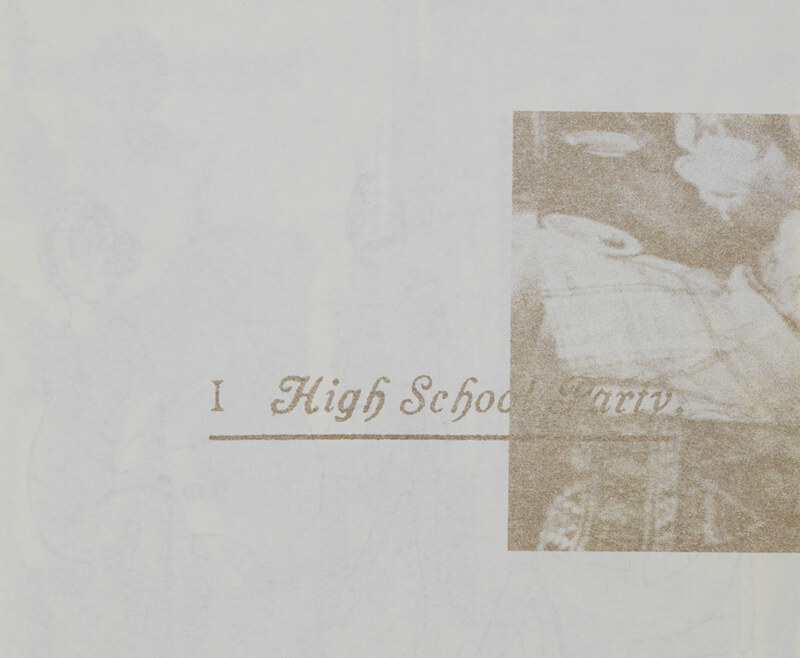 « The A-DASH issue of Sunny Days » traces the early history of the American College of Greece through the first issues of its student magazine « Sunny Days ». 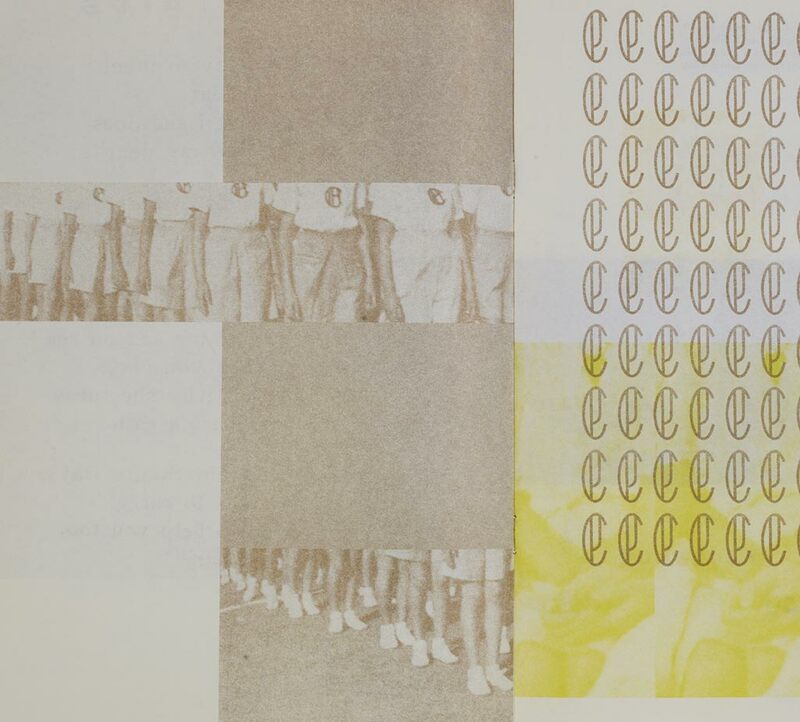 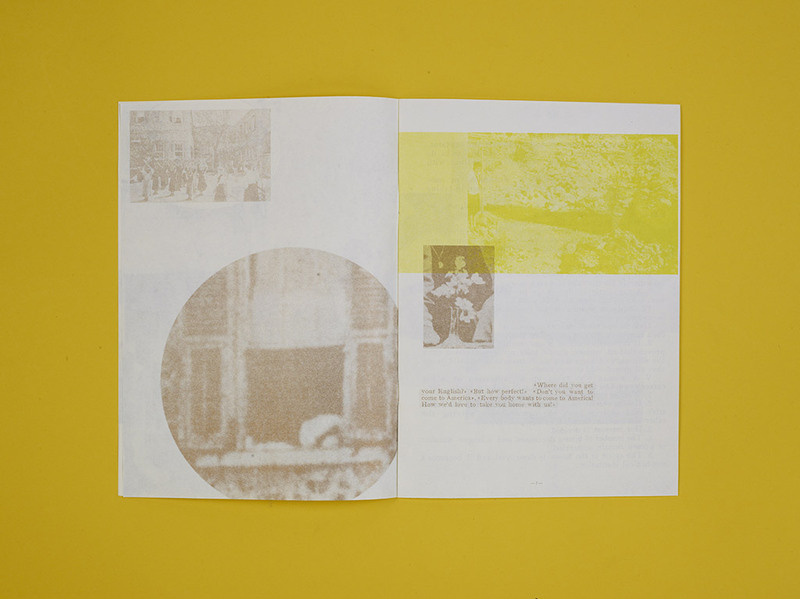 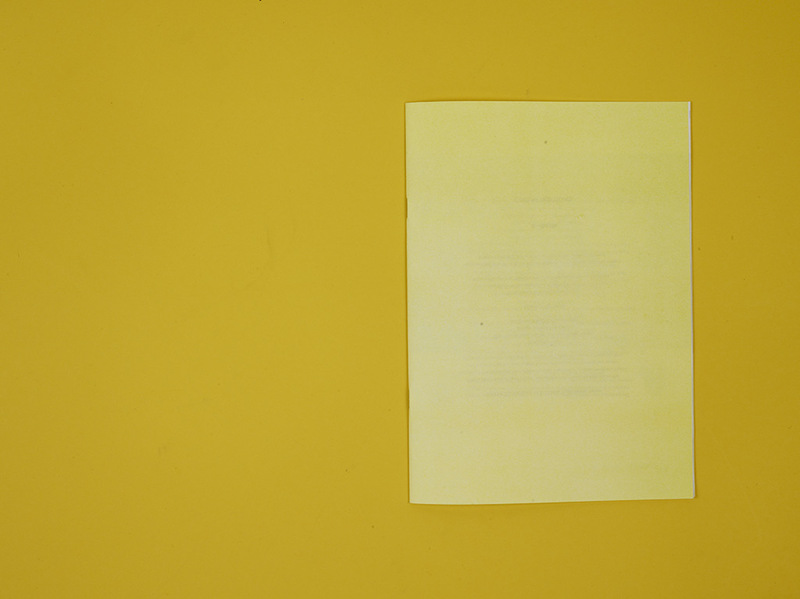 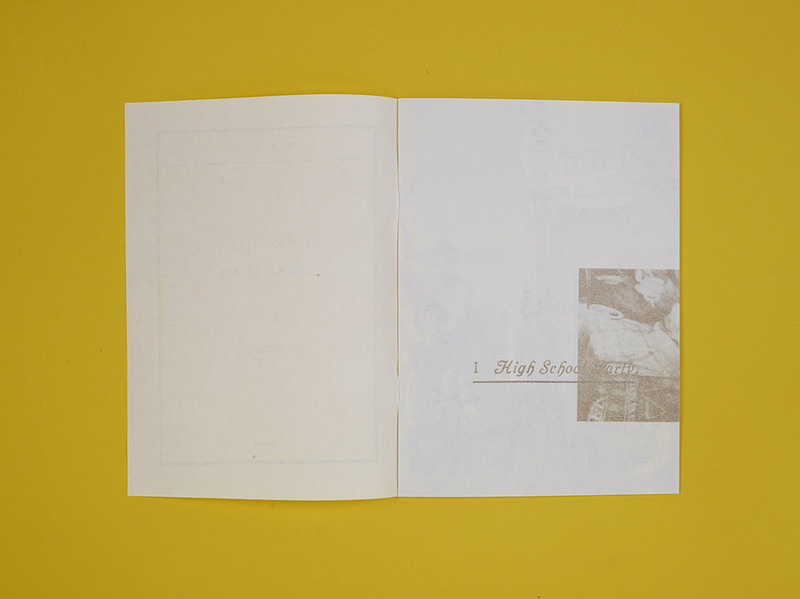 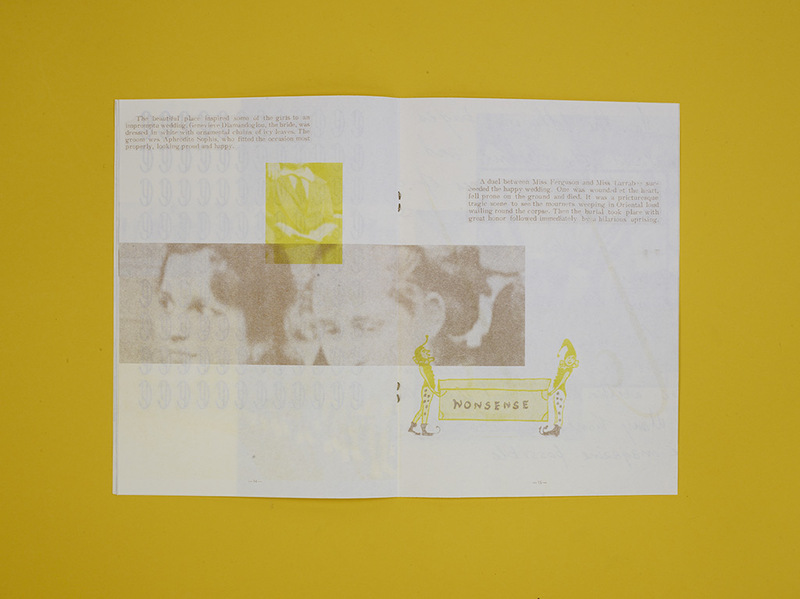 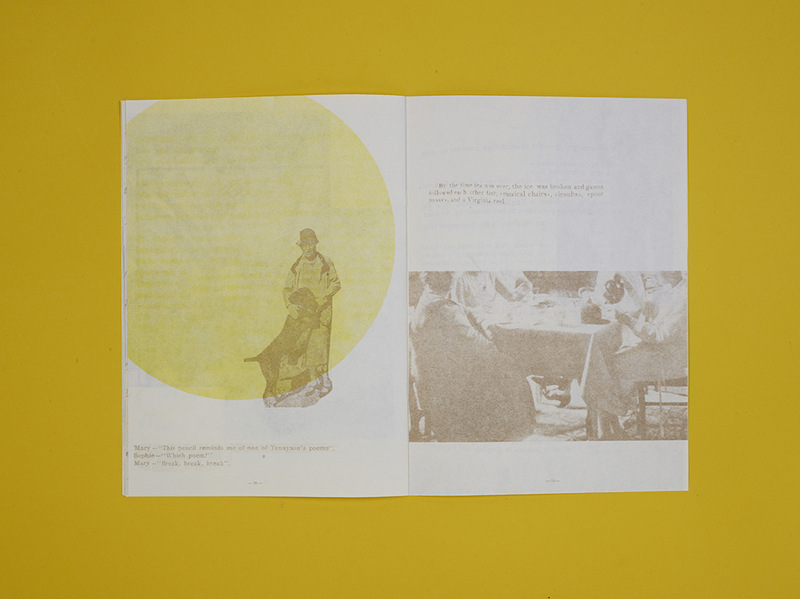 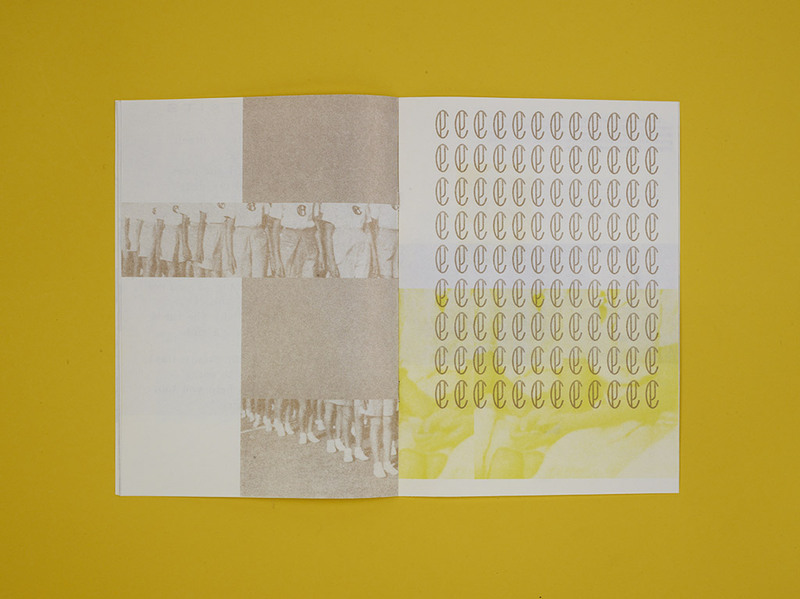 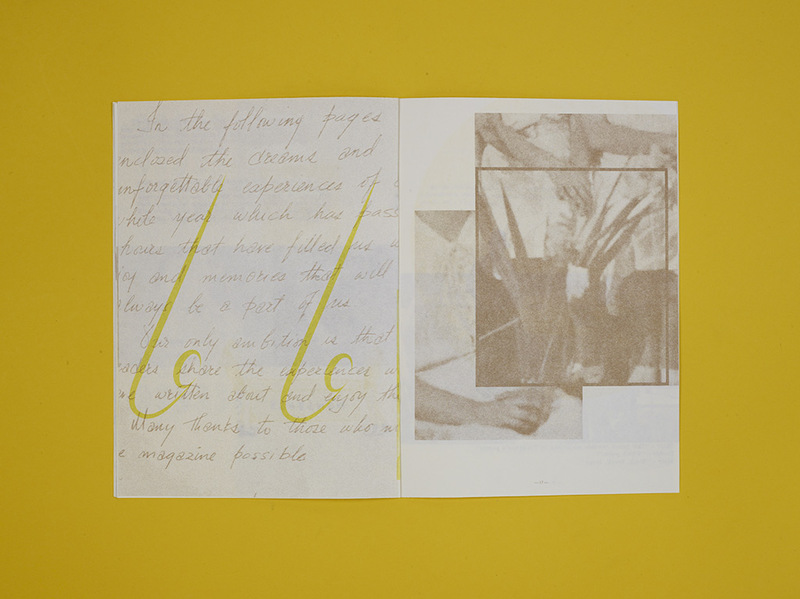 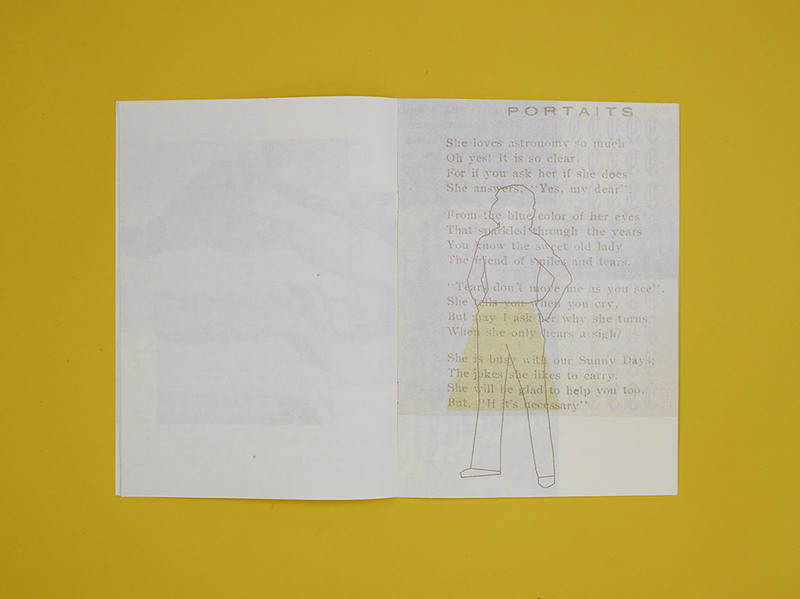 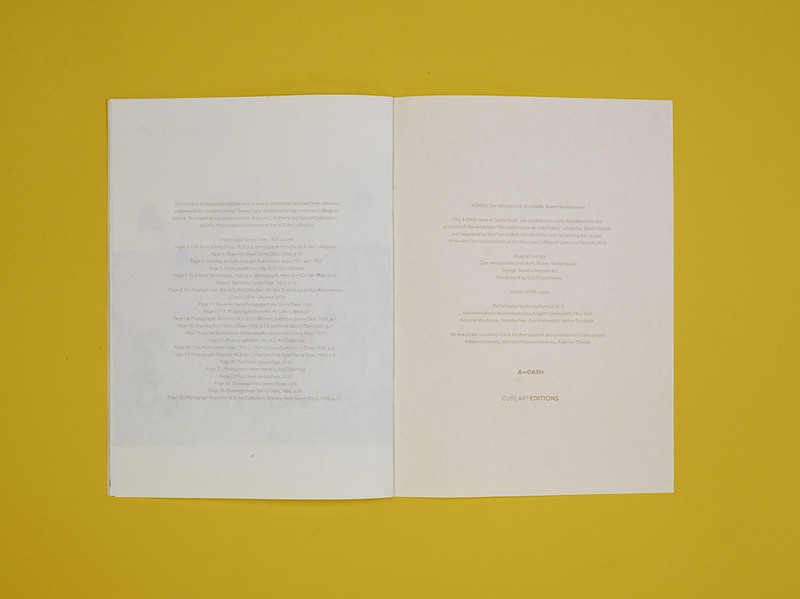 The A-DASH team has selected and appropriated images and texts focusing on those aspects, fictitious or not, that seem to compose its current identity and create connections with the past editions of the magazine. 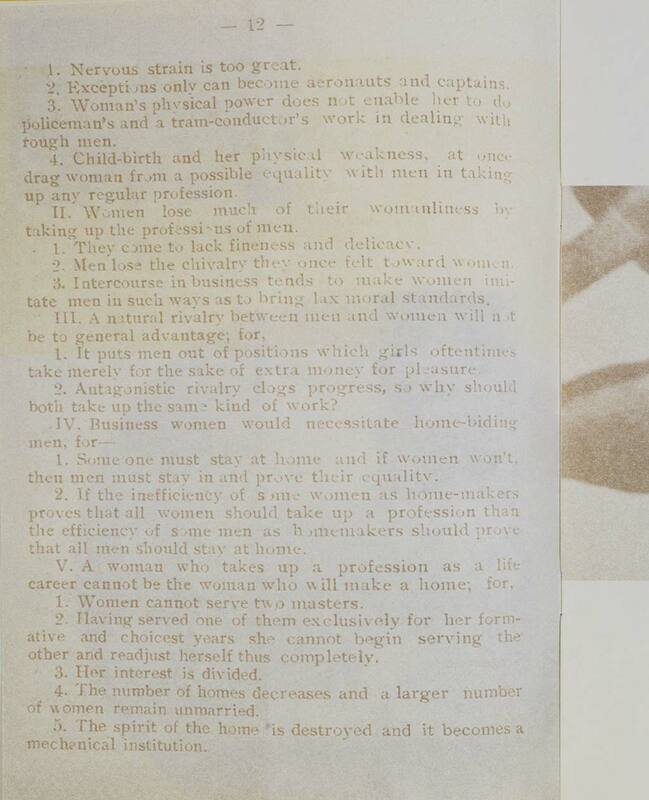 Aspects such as: the feminine perspective, the use of English language, as well as that of the foreigner’s view largely and particularly on Greece. 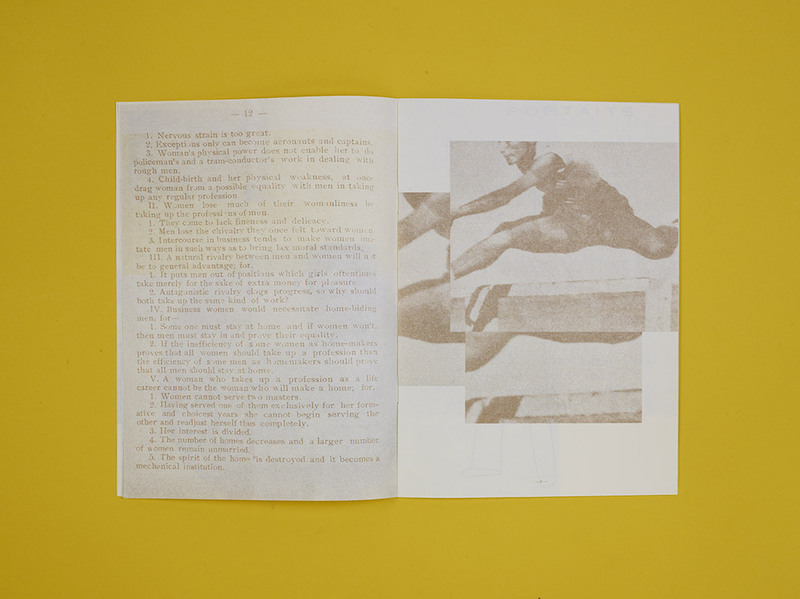 Consequently “The A-DASH issue of Sunny Days” is not just an appropriation or even a re-examination of the past but mostly a research of A-DASH’s own fluid identity constructed rhizomatically, everyday, through senses and affects. 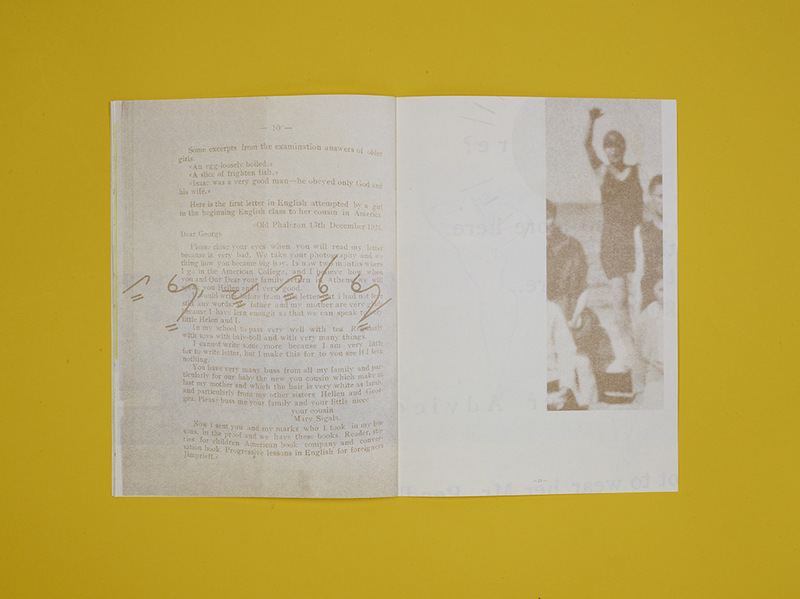 Within this approach A-DASH has also invited current students of ACG to perform readings from the actual edition.